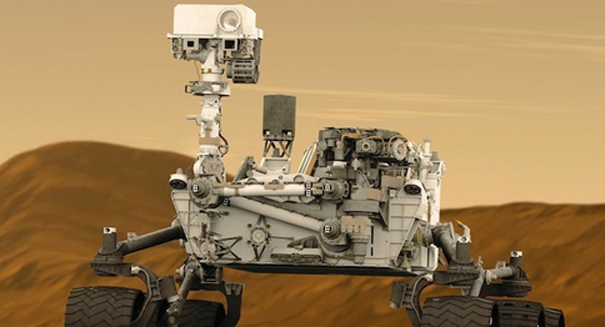 NASA had to postpone the launch of their next Mars rover mission - here's why. There has been much talk of NASA’s plans to continue exploring Mars this year, but the space agency has made an announcement that many will find disappointing. According to a report from Space.com, the proposed spring launch of the InSight Mars lander has been postponed due to a malfunction in a key instrument on the craft. The damage to the InSight lander has messed with NASA’s schedule big time. Mars and Earth line up just once every 26 months, so the space agency will have to wait until the middle of 2018 before the red planet is within reach again. One of the missions main goals is to analyze the details of the planet’s interior, which will have to wait even longer now. The problem arose when the space probe’s seismometer, the Seismic Experiment for Interior Structure, or SEIS showed a leaky vacuum container. The instrument would have measure geologic movement on the surface of Mars, the red planet’s version of an earthquake. A defective weld has resulted in unwanted air pressure messing with the instrument’s sensors, and NASA and SNES officials have been scrambling to fix the issue. The InSight probe was slated to launch from a United Launch Alliance Atlas V rocket based out of the Vandenberg Air Force Base in California this coming March. Assuming NASA can get the probe in working order, officials are hopeful that the craft will be launched the next time Mars and Earth align in 2018. InSight stands for Interior Exploration using Seismic Investigations, Geodesy and Heat Transport. The probe would provide key insights into how Mars formed and continues to evolve over time, which would be crucial information for a manned mission to the Red Planet further on down the line. A press release from NASA describing the decision to postpone the mission can be found here.